The Moto Z Play was loved by enthusiasts when it was released two years ago. Sadly, the company failed to live up to expectations with its successor, the Moto Z2 Play. Fans of the Moto Z Play may have a reason to smile now, though, as details of the upcoming Moto One Power surface. Update: Live images of the Motorola One Power surfaced a short while ago. As touted, the device sports vertically-aligned dual rear cameras, a notch, and a USB Type-C port. 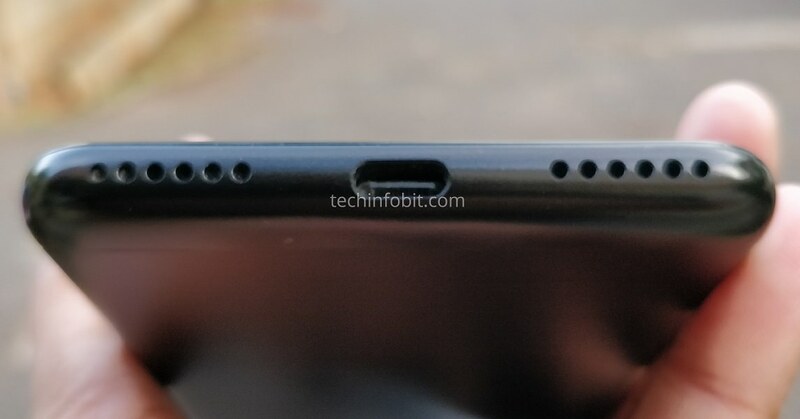 While we didn't get an image of the top of the device, no headphone jack can be found at the bottom. Images can be found at the bottom of the page. 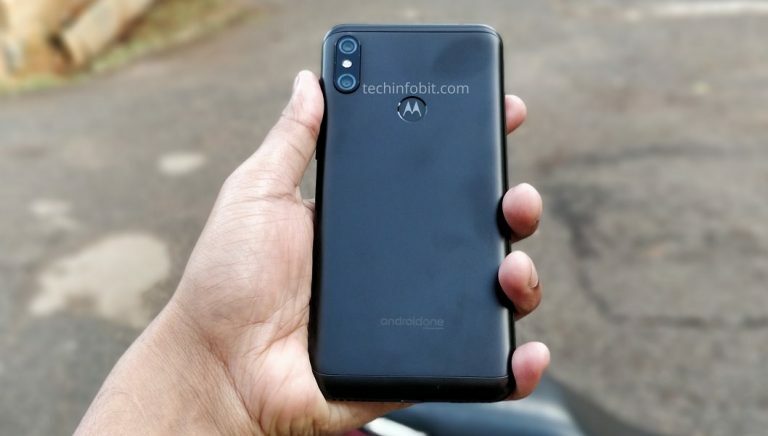 Motorola only just unveiled the new sub-premium Moto Z3 Play last week, and the company appears to be set to follow it up with another midranger, in the guise of the Motorola One Power. 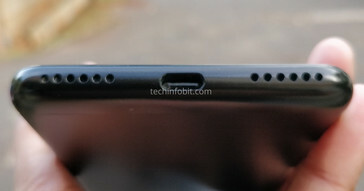 Specifications of that device have surfaced, throwing more light on what we should expect from it. The Moto One Power is said to sport a 6.2-inch FHD+ display. 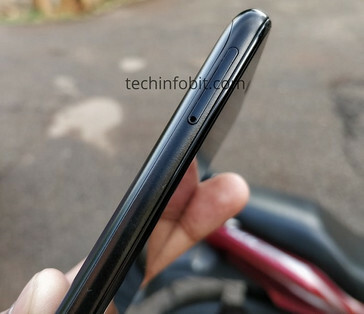 Sadly, it will follow the new trend and go the notch route. 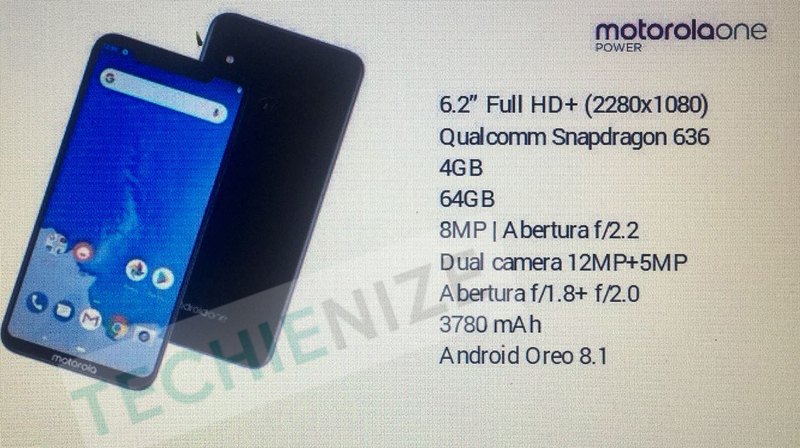 It will be powered by the Snapdragon 636—the same SoC used on the Moto Z3 Play—and will feature 4 GB of RAM and 64 GB of storage. 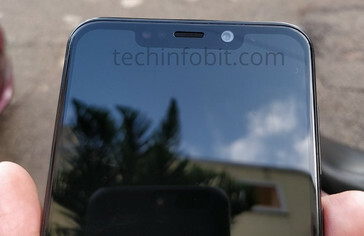 On the camera side of the fence, the device is touted to sport dual rear cameras, a setup comprised of a 12 MP snapper with f/1.8 aperture, and a 5 MP sensor with f/2.0 aperture. At the front is an 8 MP selfie shooter with f/2.2 aperture, which isn’t exactly mind-blowing. What makes the Motorola One Power interesting is the 3780 mAh battery its said to come with. The original Moto Z Play was famous for its battery longevity and build, but its successor, the Moto Z2 Play, offered a smaller battery unit—a move that left fans of the original device stumped. Of course, a 3780 mAh battery isn’t particularly impressive, especially considering the device’s ambitious name, but it's something. 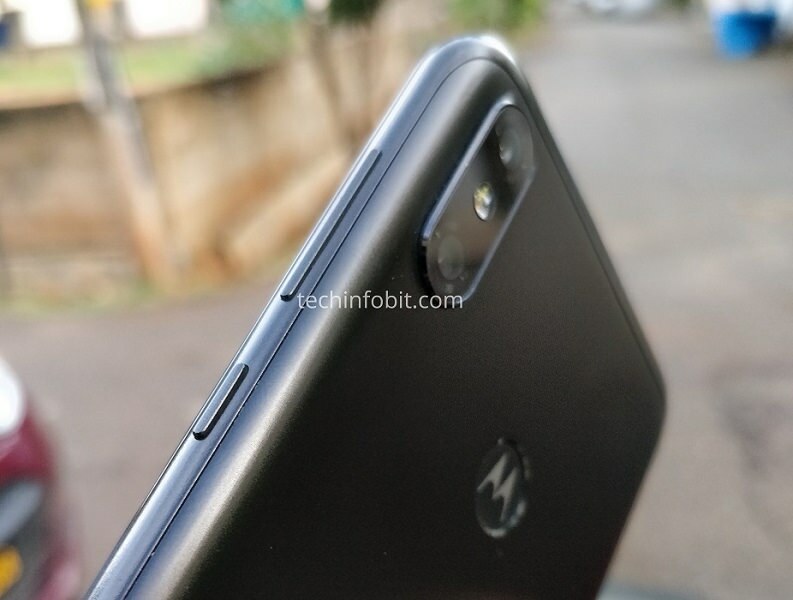 It’s unknown when the Moto One Power will be launched or how it will be priced but we look forward to more veracious information.